Are you looking for an Oral and Maxillofacial Surgeon in Northern New Jersey? 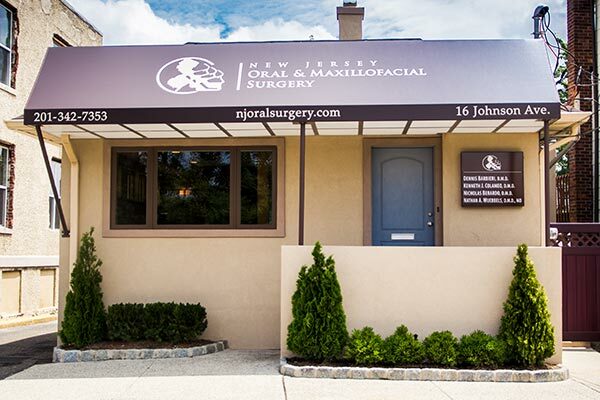 New Jersey Oral & Maxillofacial Surgery Associates, P.C. (formerly, Barbieri, Colameo, Berardo & Wuebbels, Associates in Oral and Maxillofacial Surgery, P.C.) is a group practice limited to the recognized dental specialty of Oral and Maxillofacial Surgery. 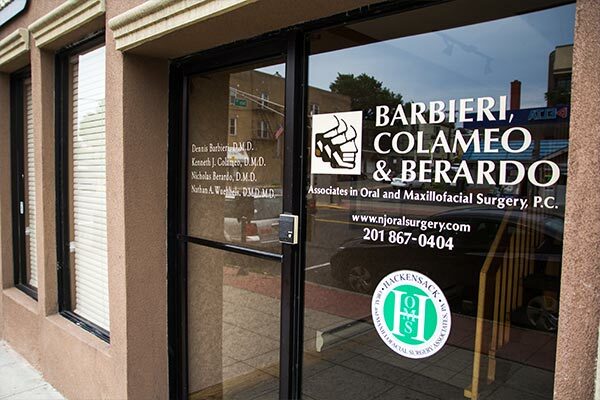 We are four Board Certified Oral and Maxillofacial Surgeons who operate out of three locations throughout Bergen and Hudson Counties. As oral and maxillofacial surgeons, Drs. Barbieri, Colameo, Berardo & Wuebbels manage a wide variety of problems relating to the mouth, teeth and facial region. Our practice encompasses the full scope of oral and maxillofacial surgery, with expertise ranging from reconstructive facial surgery, corrective jaw surgery to wisdom tooth removal. We also diagnose and treat facial pain disorders, facial injuries, temporomandibular joint disorders (TMJ) and perform a full range of dental implant procedures. All doctors are members of the medical staff at Hackensack University Medical Center. For your convenience our office hours at all three of our office locations are Monday through Friday from 9:00am until 5pm and Saturday at our Ridgefield location from 9am to 1pm. Saturday hours are not available after Memorial Day in May through Labor Day in September. You are invited to contact our office during these hours to schedule appointments. 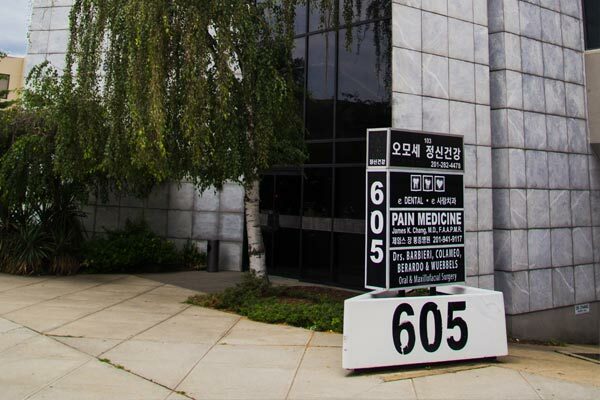 We will make every effort to schedule your appointment at the most convenient location and as promptly as possible. If an emergency situation should arise, every attempt will be made to see you that day at the most available office. All scheduling (including emergencies) is arranged to minimize your waiting. We respect your time and will make every effort to keep our appointments on schedule. Occasionally, an emergency or unforeseen surgical event may disrupt our schedule and lengthen the time allocated for a particular procedure. Under these circumstances we ask for your cooperation and understanding. Please be assured that the same concentration and concern is afforded to each and every patient and most certainly will be provided throughout your treatment. We appreciate your understanding and patience during these times.